Cataracts affect more than 24 million American adults, and by age 75, nearly half of all Americans develop cataracts. 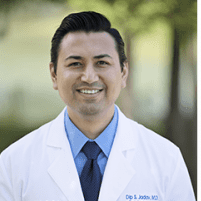 At Outlook Eye & Laser Center in Sugar Land, Texas, Dr. Dip Jadav specializes in effective laser surgeries and other treatments to eliminate cataracts and protect your eyesight. If you’re concerned about cataracts, schedule a consultation with Dr. Jadav online or by phone. Cataracts result when the proteins that make up the lens begin to cluster. As this cluster grows to cover more of the lens, it lessens or distorts the light that can enter your eye, clouding your vision and sometimes giving you the effect of looking through a foggy window. Vision issues due to cataracts can make it difficult to drive a car, read a book, or even see faces clearly. In the initial stages of cataract development, you can use stronger lighting for reading and writing and a stronger prescription for your eyeglasses. However, cataracts can progressively worsen your vision, and Dr. Jadav might recommend cataract surgery. The cloudiness of cataracts may initially affect only a part of your lens, but as it grows larger, light becomes distorted and symptoms become more noticeable. What treatment options are available for cataracts? When cataracts disrupt your vision, Dr. Jadav may recommend cataract laser surgery. He reviews your medical history and performs a comprehensive eye exam to check for underlying eye problems prior to scheduling the surgery. During the procedure, Dr. Jadav removes the clouded lens of your eye using a high-powered, precise laser. He replaces it with an artificial lens, known as an intraocular lens. This lens becomes a permanent part of your eye and gives you clearer vision. You still need to wear corrective contacts or eyeglasses if you have them. Following surgery, you may feel some discomfort as your eye heals. Your eye should be back to normal within two months of your surgery. Do I need to have surgery if my cataracts don’t bother me? The decision to have cataract surgery is a personal one. Dr. Jadav can discuss the benefits of cataract surgery with you to determine if you’re ready. If your vision isn’t causing you problems at work or home, you may decide to put off surgery. Dr. Jadav continues to monitor your eye health and the progression of your cataracts until you need surgery. If cataracts are affecting your vision, schedule an appointment with Dr. Jadav online or by phone.